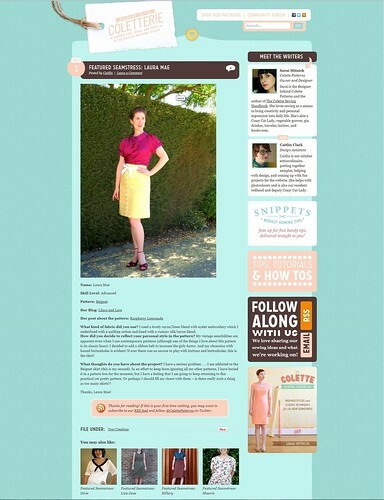 I am today’s Featured Seamstress over at The Coletterie, which is very exciting! Thank you to Colette Patterns for the opportunity! Your skirt looks great. Have never tried any of these patterns yet. I must amend that. Love the added bow. How delightfully awesome - happiest congrats!! !